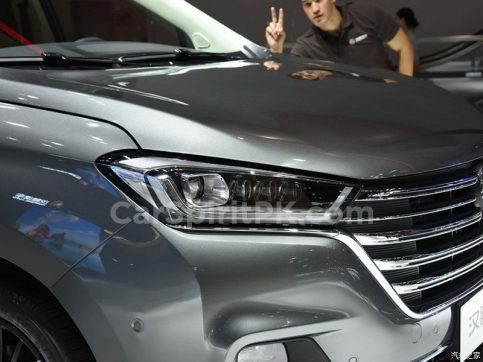 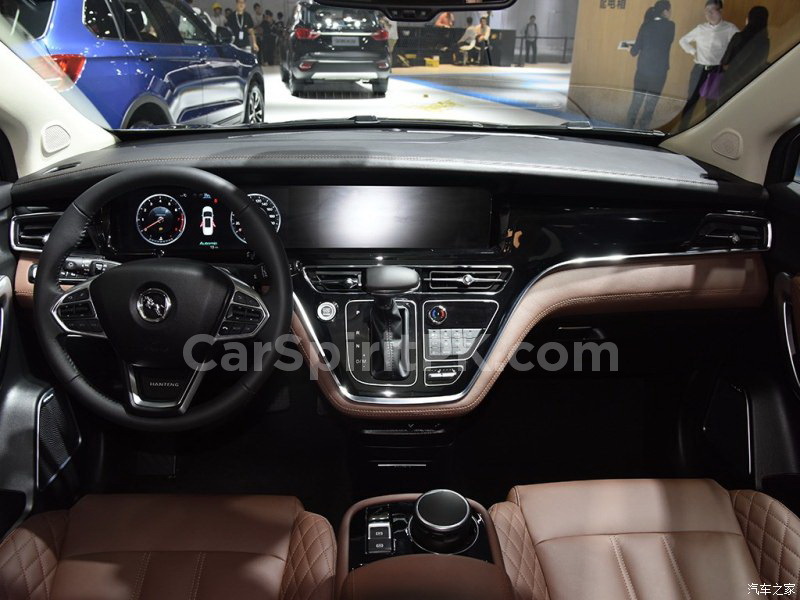 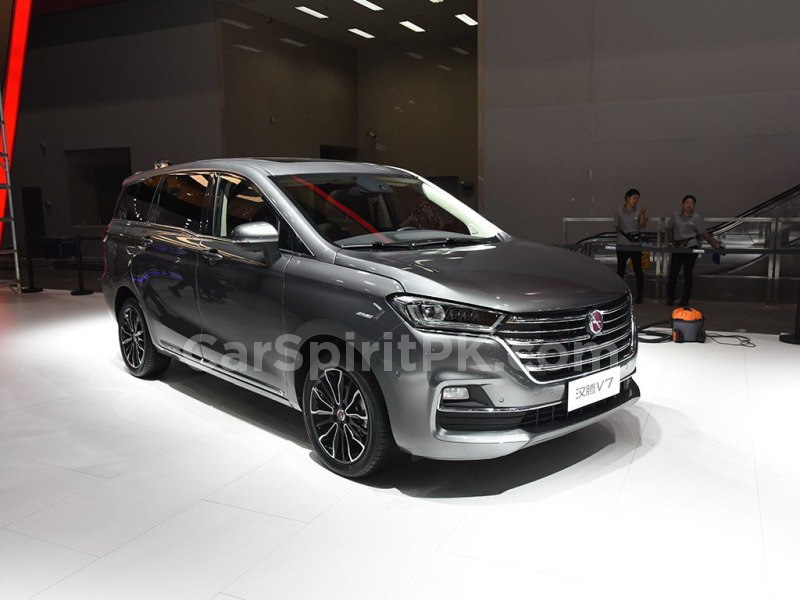 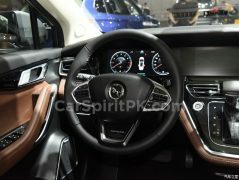 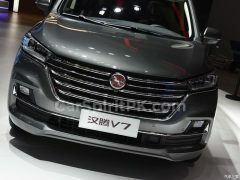 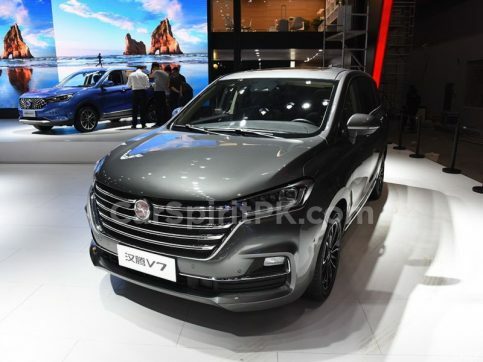 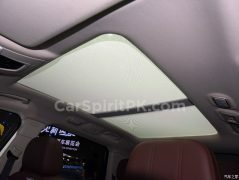 Hanteng Auto, a relatively new Chinese automaker has unveiled its new V7 luxury MPV at the ongoing Guangzhou Auto Show in China. 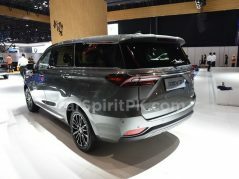 Related: Why MPVs are More Practical for Bigger Families than Sedans? 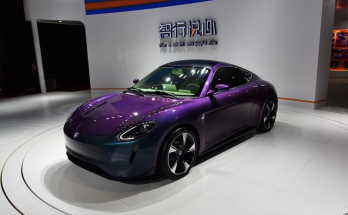 The company was established in November 2013 is a private automobile manufacturing company with a focus on research & development, and manufacturing of traditional fuel-powered vehicles, new energy vehicles, and key automotive parts. 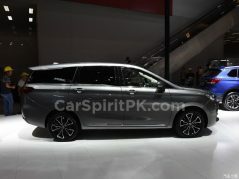 The V7 is a fine looking MPV with a stylish appearance. 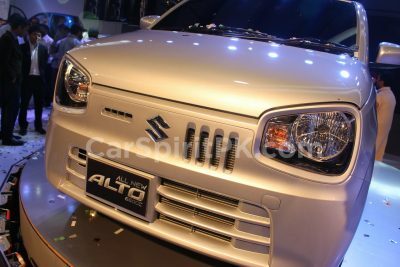 There are slim headlamps with LED DRLs upfront with a bold and large chromic grille with horizontal slats. 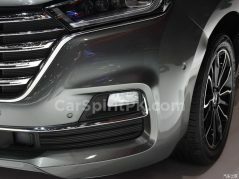 The bumper has a thin chrome strip, just beneath the fog lamp housing going all the way to the other end. 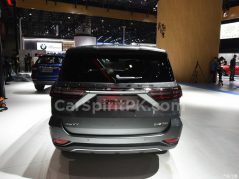 The side profile features a slight kink at the rear door and a floating roof design. 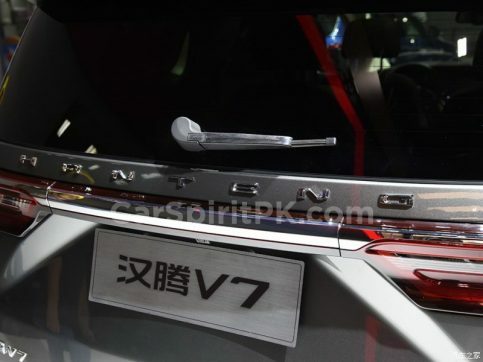 At the rear a large HANTENG lettering above the chromic strip that connects the two slim LED tail lamps. 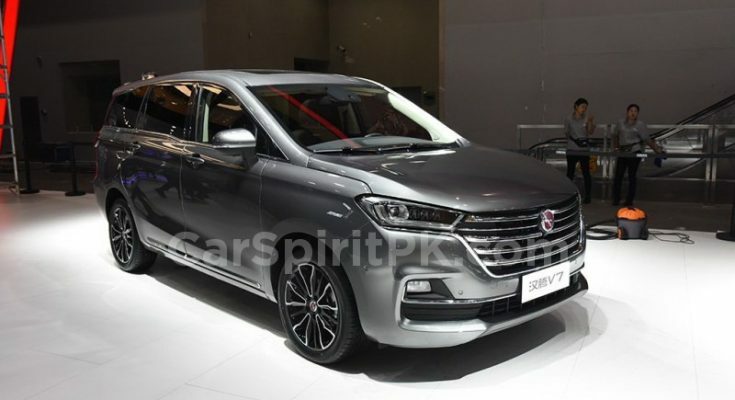 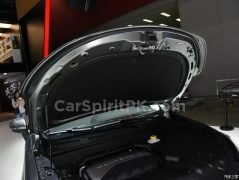 There is a spoiler, rear windscreen wiper as well as bumper with integrated fog lamps to add to the splendor. Hanteng V7 measures 4826 mm in length, 1858 mm in width, and 1721 mm in height, with a wheelbase of 2800 mm. 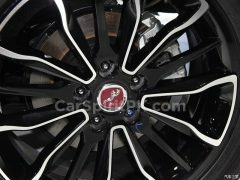 It gets 215/50 tires on 18″ alloy rims. 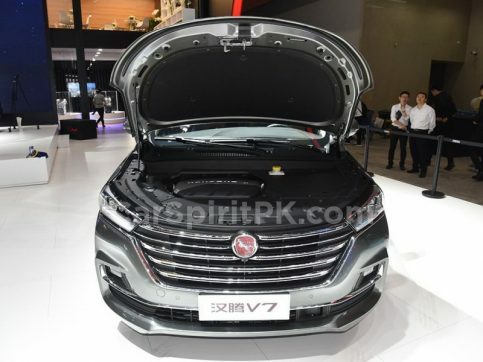 The Hanteng V7 is a genuine 7 seater with 2/2/3 seating configuration. 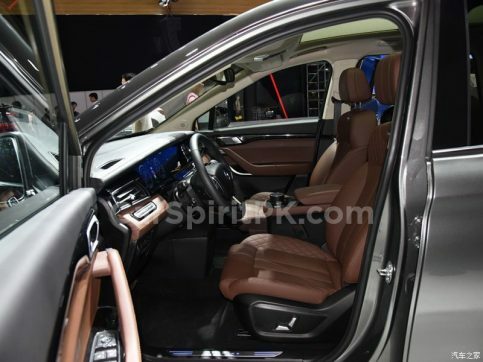 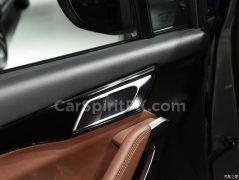 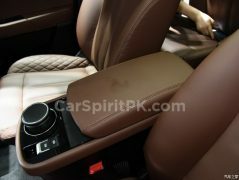 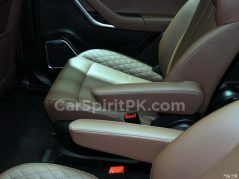 The interior looks premium with black and brown color combination and an attractive instrument panel layout. 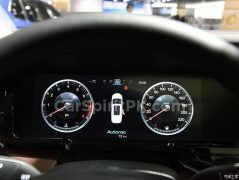 There are two 12.3 inch screens, one for the central display and the other for meter cluster. 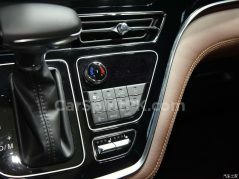 The gear lever is mounted on the dashboard, next to which there are a lot of control buttons. 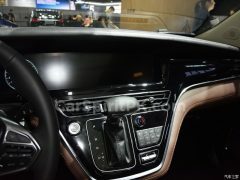 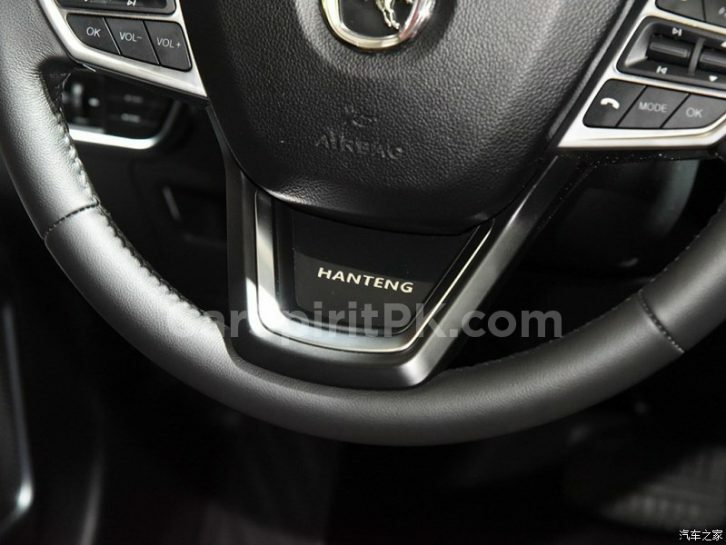 The positioning of gear lever at the dashboard console, has allowed the designers to free up enough space on the tunnel where the rotating controller for the infotainment system is housed. 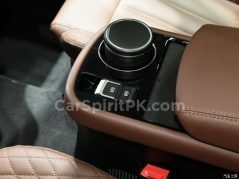 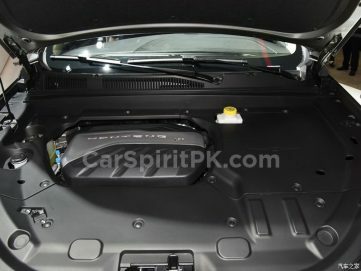 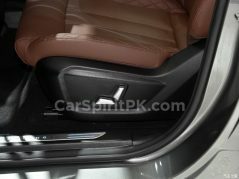 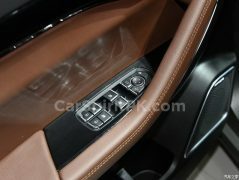 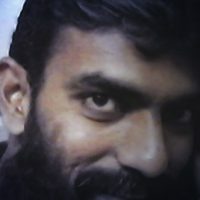 The equipment list include airbags, anti-lock brakes, reversing aid with 360 degree camera, keyless entry, engine start/ stop button, multi-function steering wheel, electrically adjustable seats, electric parking brake, panoramic roof, power tailgate, wireless phone charging, AEB (autonomous emergency braking) and LDW (lane departure warning) etc. Under the hood, the V7 gets a 1.5 liter turbocharged engine producing 156hp of power and 250Nm of torque. 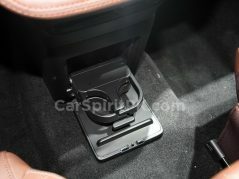 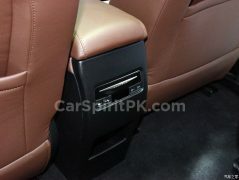 Available transmission options are 6-speed manual or 6-speed automatic. 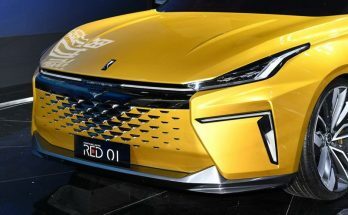 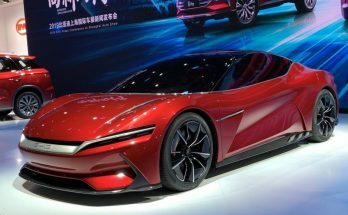 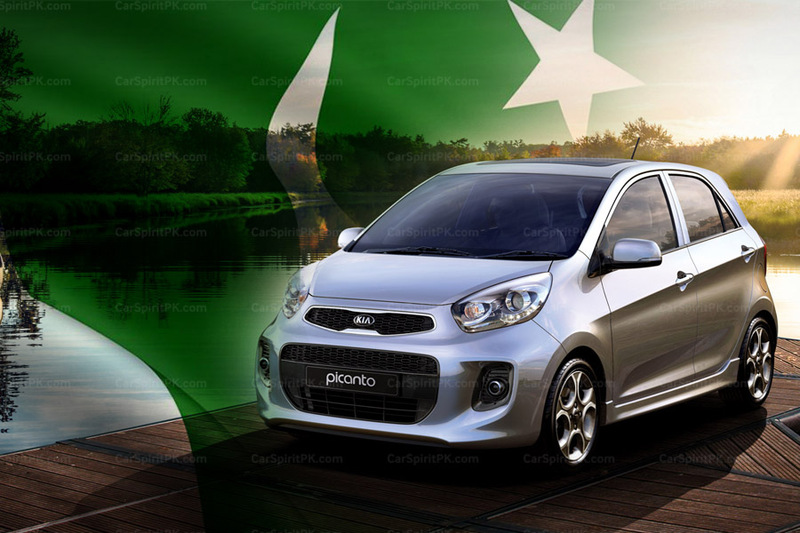 Hanteng is in process of making an entry in Pakistan as earlier this month, the KA Hanteng joint venture was awarded the category-A Greenfield status by the government under automotive development policy 2016-21.